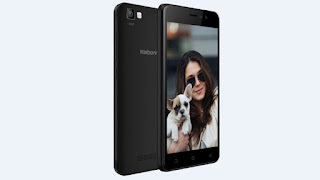 Domestic handset maker Karbonn on Wednesday unveiled its all-new K9 Smart Selfie smartphone. As the name suggests, the handset is targeted at selfie-obsessed users. It sports matte finish and will be available in Black and Blue colours. The K9 Smart Selfie smartphone launch comes merely a week after the launch of the Karbonn Titanium Jumbo which was also targeted at selfie lovers. The Karbonn Titanium Jumbo was launched at a MOP (market operating price) of Rs. 6,490. Priced at Rs. 4,890, the new Karbonn K9 Smart Selfie is now available in India. The K9 Smart Selfie features 4G along with VoLTE (voice over LTE) support which is a great addition at this price. For specifications, the K9 Smart Selfie features a 5-inch FWVGA (480x854 pixels) display and is powered by 1.1GHz quad-core processor coupled with 1GB of RAM. There will be 8GB of storage and it will support expandable storage via microSD card (up to 32GB). On the camera front, the K9 Smart Selfie sports an 8-megapixel camera at the front. The smartphone supports Night shot mode and Beauty mode among others. The handset also features a 5-megapixel rear camera with LED flash. It is backed by a 2300mAh battery which is claimed to come with standby time of up to 180 hours and talk time of up to 8 hours. Connectivity options include Bluetooth, GPS, GPRS/ EDGE, 3G, VoLTE (4G), and Wi-Fi. The dual-SIM device runs on Android 7.0 Nougat. The company is also boasting of an inbuilt photo and video editor on the device.